If you have the luxury of being able to work from home you may find it hard to remain fully productive with all the distractions. These may include house chores, the television, household tasks or even the children. A home office away from all the hustle and bustle may be just what you need. This is one of the most popular garage conversion ideas. Especially so, if your garage is doing nothing but holding clutter. Adding skylights into your garage roof does not require planning permission and can flood your room with light. All you need is basic office furniture. 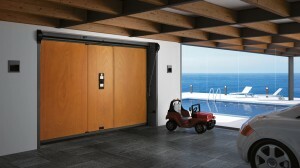 We can supply fant astic bespoke hardwood garage doors to secure all your valuable possessions safely. If the positioning of your garage falls nicely with the layout of your house it may be possible to extend the living quarters into your unused garage and enjoy the luxury of a larger kitchen. Providing you do not extend upon the existing foundations of your garage you can do this conversion without planning permission. However, you the building work must conform to Building Regulations. 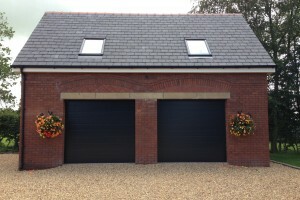 It is one of the more expensive garage conversion ideas but can add value to your home. Go one step further than the little timber framed summer gazebo and transform your garage into the ideal summer house. Another garage door conversion idea. Adding large side hinged garage doors to your garage can really open it up into your garden and create light and space in your garage. Over the cold winter months this can also be a fantastic place to store all your garden furniture and protect your barbecue from the frosty weather. Some of us frequently have guests stay over, and space in the house can be quite restricted. Transforming your garage into a guest room could be the solution. Another popular garage conversion idea. Clearing the garage of all the unused clutter and rubbish is the first job. Then, you will need to improve insulation, draught and damp-proofing. 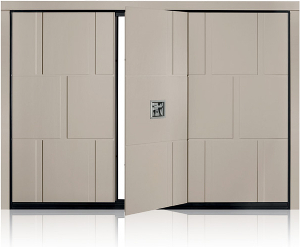 An insulating garage door is a great solution. The conversion may require building Regulations approval, but will not require planning permission as you are not altering the size of the garage. Some quirky IKEA furniture will give you that edgy look at an affordable price. Just make sure it is not that good your guests never want to leave! Memberships at your local gymnasiums can eventually add up to a hefty fee over a year. So if you find your garage is left neglected and unused a few simple steps and an investment can provide you with your very own home gym. Some things to consider when building your own home gym include protecting the floor. When dealing with weight lifting equipment you need to make sure you don’t cause any damage to the floor. Protection mats are available from most gym equipment providers. The price of a home gym will eventually pay itself off over a few short years and can also provide a space for your close friends to use as well as making the most out of an unused garage. this is another more popular of the garage conversion ideas. If none of these ideas tickle your garage fancy you could always convert it into a kids play room, another living room, a home cinema or even, quite possibly, believe it or not, somewhere you could park your car and store your tools. Here at Lakes Garage Doors we provide a wide range from hardwood garage doors to automatic gates and much more. If you wish to discuss your bespoke garage door needs then please contact us on 01995 498005 and a member of our team will happily talk you through the process.